BSM Pump Corporation has been manufacturing rotary gear, centrifugal and vane pumps for different applications since 1883. They make pumps for many different applications, from general industrial markets to OEM markets including: machine & dye, energy, industrial foods, chemical, military and lubrication. 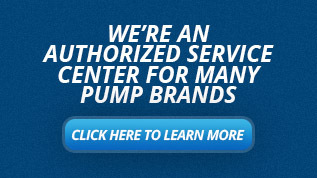 All pumps provide excellent suction lift capabilities. BSM offers a vast selection of Rotary Gear pumps meet almost any application. Three different gear specifications (Spur, Helical, and Herringbone) in several models allows the ability to meet most applications. Pump materials include cast iron, ductile iron, carbon steel, bronze and stainless steel. There are also three seal options, five drive options and three mounting options. Automatic reversing vane pumps maintain same direction of delivery when rotation of the driving shaft reverses. This is an essential feature in any operation where liquids must be pumped in a machine whose driving shaft reverses. Pumps materials include gray iron casings and hardened steel vanes/shafts. There are three mounting arrangements, and compression packing used for sealing, giving the ability to meet many different applications. BSM offers centrifugal pumps to be used wherever high volumes of low viscosity liquids need to be handled. There are three different configurations including: submersible, outside foot mounted pumps and outside flange mounted pumps. Materials of construction include gray iron and steel construction, varying voltage motors, column lengths, & mounting arrangements.